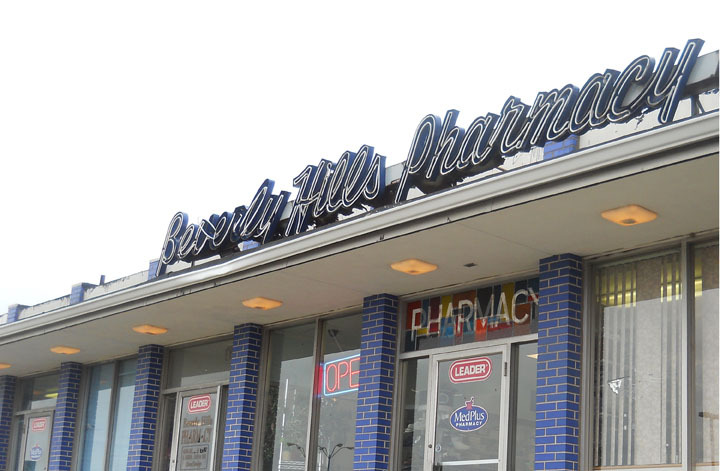 Beverly Hills Pharmacy is one of the longest standing family owned independent pharmacies in the St. Louis metro area. Established in 1960 by Gloria and Dominic Vitale, Beverly Hills has been providing quality care to our customers in the same location for over 50 years. Purchased in 1987 by Chris and Emma Geronsin, Beverly Hills continues the tradition of family with two generations of pharmacists on staff. While we have grown to more than just a small neighborhood pharmacy, we consistently strive to provide a level of care that cannot be found at chain store pharmacies. Beverly Hills has continually provided services such as free same day delivery, expert prescription advice, and excellent patient care. Our pharmacy staff is certified in HIV, Diabetes and Hepatitis C medical management and also offers onsite injections of psychiatric maintenance drugs. Additionally, we are experts in helping our patients achieve a better understanding of Medicare Part D Insurance Programs. Going above and beyond what is expected has always been our philosophy. Community involvement and commitment to service is where Beverly Hills Pharmacy strives towards excellence. Chris Geronsin is an active member of the local community and supports a wide array of volunteer and aid organizations including: The Asthma and Allergy Foundation of America, St. Louis Area on Aging, Helena Hatch Special Care Center, The Ryan White Foundation, Local Explorers for Disadvantaged Youth and Beyond Housing. Beverly Hills Pharmacy also supports many local charity events and is a sponsor of The Infectious Disease Society of ST. Louis, The Red Gala Event, The World Aids Day Event (St. Louis Effort for Aids) and is the official pharmacy to all the St. Louis area professional sports teams including the Blues, Cardinals and Rams. In addition, Chris serves on the board of directors of the Missouri Pharmacy Association, Cardinal Health National Advisory Board and as the president of the Regional Cardinal Health Advisory Board and as an adjunct professor / guest lecturer for the St. Louis College of Pharmacy. At Beverly Hills Pharmacy, we are proud of our history and dedication to our community. We work closely with the patient and their physicians to ensure the best possible care. Having your prescriptions filled at Beverly Hills is one more way of taking better care of yourself!